What is Factual Innocence and How Can I Be Found to Have Been Factually Innocent According to Penal Code Section 851.8? Factual innocence is one of the many remedies available to those who have been arrested for a crime but ultimately had the charges dismissed. However, there are many essential elements that must be proven before a court will deem you factually innocent. A recent California appellate court decision addressed the elements of factual innocence. The court stated that even though the defendant was released shortly after her arrest, she had no claim of factual innocence. The defendant was released because there was not enough evidence to charge her with a crime, but, the court concluded, there was still enough evidence to support a reasonable belief that she may have been involved. A finding of factual innocence is impossible if there is reasonable cause to believe the defendant in some way contributed to the crime they were arrested for. Reasonable cause is a well-established legal standard defined as that state of facts as would lead a man of ordinary care and prudence to believe and conscientiously entertain an honest and strong suspicion that the person is guilty of a crime. In other words, under no set of circumstances could the defendant have been subjected to the criminal process. As you can see, there are many complex elements to achieving a declaration of factual innocence. In many cases, it takes the advocacy of a skilled and experienced California criminal defense attorney to dive into the record and give you the best chance of prevailing at your factual innocence motion. The attorneys at Wallin & Klarich have over 30 years of experience in handling factual innocence matters. Our attorneys aggressively represent our clients and are cognizant of the specifics of each case. 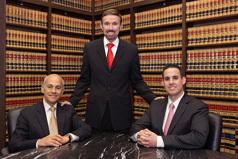 The attorneys at Wallin & Klarich can be reached by phone at 1-888-280-6839 or through our website at www.wklaw.com.